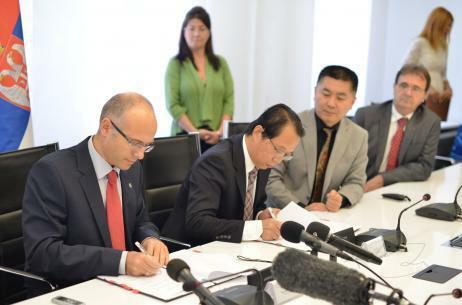 Owing to the Society for Economic and Trade Cooperation and Friendship between the Republic of Serbia and the People's Republic of China, Mayor Miloš Vučević signed on behalf of the City of Novi Sad the Memorandum of Understanding with Mr. Meng Yan, representing the Shandong Province of China. The signing of the Memorandum states the mutual intentions to make the cooperation more concrete in the future in the construction of a bypass highway around Novi Sad, which represents an investment of great importance, as well as to create the favorable conditions for design, financing, construction and use of the bypass highway around Novi Sad. -I am very pleased to have signed this Memorandum as a result of several meetings at the PC ”Public Enterprise for the City Construction and Development” and at the City Hall. This is a strategically important road not only for Novi Sad, but also for the entire Province and Serbia in general, because the construction of a bypass around Petrovaradin Municipality, which would go to the Žeželj Bridge, would also open a new connection for a potential new bridge to cross the Danube river towards the suburban area of Šangaj, which would, in turn, generate the connection of two Highways E75 and E70, and further connection to the Banat Region. We are facing serious tasks, primarily in the development and implementation of project documentation, and the Memorandum emphasizes that any further steps in the cooperation of the City of Novi Sad and the Shandong Province will comply with the regulations of the Republic of Serbia, which define all procedures of execution and investment - the mayor said, adding that, during the today’s visit, he will talk with the representatives of the Shandong Province and the Chinese Embassy about bringing investors from China to the Novi Sad Free Zone. Meng Yan from the Shandong Province of China pointed out that our two nations are connected by a great friendship and added that this project is the second major project that has been signed up to now, while the first one relates to the construction of Corridor 11. 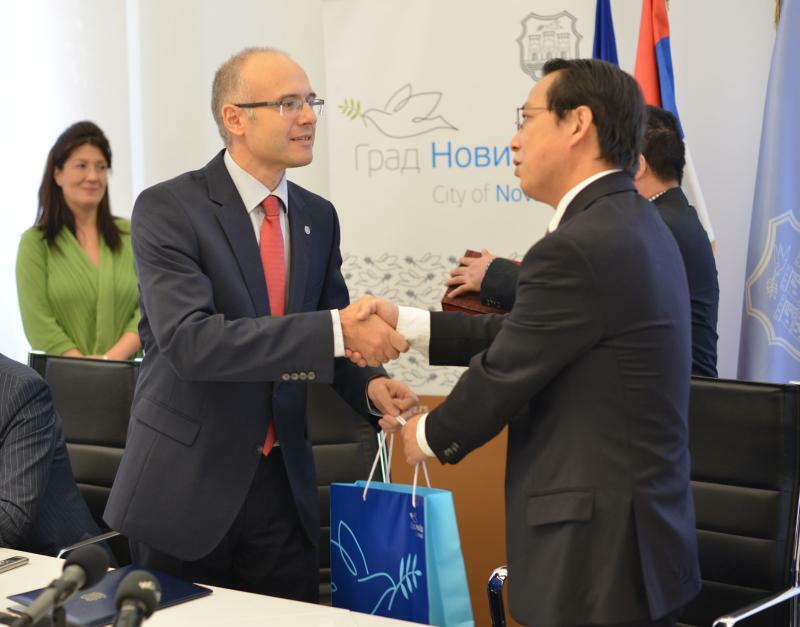 - The City of Novi Sad has made a good impression on us and I hope that after the signing of this Memorandum we will start the project implementation as soon as possible and thus strongly reinforce the friendship of our peoples and countries - Meng Yan said. 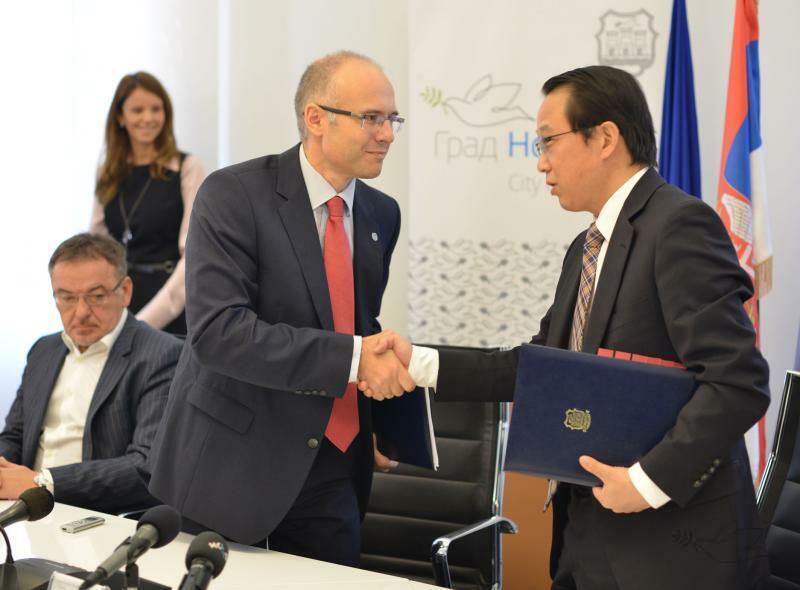 The City of Novi Sad has the intention of building a bypass highway around Novi Sad, while the Shandong Province has a wealth of experience in the construction of highways and is willing to take actions on the joint implementation of the bypass. The estimated total length of the bypass highway around Novi Sad is about 6.5 kilometers, while the exact length will be determined on the basis of final plans. In the future, the model of project investment and financing model will be concretized, with the intention to seek negotiated best solutions to reduce the project costs.